In the past, imperfect or incomplete information led users to depend solely on their own experiences or those they heard through word of mouth from friends and family. When they found a satisfactory brand, they usually stuck to it. Brand loyalty was a form of risk avoidance. Today we live in the age of information overload. Instead of having few sources of reference for reliability of various brands, we suffer from a surplus of opinions, reviews and ideas from too many sources than we can handle. All this information about brands, their past, their service goof ups or even glowing examples of their competition, has slowly eroded the loyalty that customers held dear in previous generations. Yet, customer loyalty is not dead. Any Apple fan boy or PlayStation fanatic will testify to that. So, how do these iconic brands hang on to their customers for years, while others find it difficult to get a customer back for a second purchase? Here’s how. A user experience that makes it easy for the customer to find what she’s looking for, an experience that encourages her to shop more, an experience that removes all friction from the purchase process – these are what a customer takes back home with her, more than the actual product purchased. 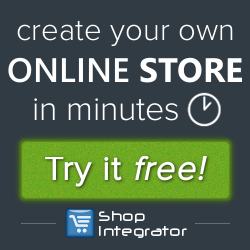 User experience does not have to do just with your website’s look and feel or your store’s design and layout. It has to do with every ‘moment of truth’ the customer experiences with your brand. This could be via a customer care call, your mobile app or even via a shipping experience. Work towards making it as seamless, quick and intuitive as possible to make your customers coming back for more. A good user experience referred to in the previous point, is one that ends up with a happy customer. However smooth your user interface maybe, no matter how great the product itself is, if the customer does not feel wanted or important, the chances of them coming back to your store are dismal. An organization that has the spirit of service goes out of its way to make sure a customer is taken care of in every way possible. Winning brands encourage a culture of service and problem solving. Every single member of the company is seen as a customer care representative – out to help out a customer the minute they need it. When something as important as customer service is left to be handled by just the customer service department, you’re making sure your service will never match up with the best in the business. Why, even Craig Newmark – the founder of Craigslist – admitted he begins every morning by attending to customer service calls instead of plunging into emails or meetings. It is hard to be indifferent to a brand that makes you feel exclusive. This does not mean that you should start discriminating between your customers. Rather, it means that the big spenders or more frequent buyers ought to get some perks for investing their time, faith and money in your brand. The airline industry has perfected the art of making a customer feel exclusive with their ever popular loyalty programs. Thanks to air miles earned from specific airlines, customers prefer to be loyal to the one offering points, instead of shopping around for the lowest cost operator. This makes great sense in a struggling sector like aviation, when a customer is self-motivated to avoid other brands using such a simple and cheap solution. Some other examples of exclusive perks that brands offer are airline lounges at airports to loyalty card members, special discounted rates to loyalty club customers in the case of annual sales by high-street retailers and so on. Doing a great deed once in a while makes for a happy customer. But, in most organizations; this need to impress your audience to make them keep coming back is truly a flash in the pan than part of the organizational philosophy. A pioneering brand like Virgin Atlantic takes the job of ‘wowing their customers’ on a regular basis very seriously. From a free chauffeur driven car to and from the airport, in-flight beauty therapists and manicurists for business class passengers, or the world’s first ‘Drive Thru Check-in’; Virgin’s customers definitely know brand loyalty extremely intimately. In founder Richard Branson’s own words, Virgin’s philosophy is to “catch people doing something right”. With the economy having barely turned a corner from the recent financial crisis, cutting costs wherever possible is fashionable. A common favorite for cutting costs is the customer care department. Automated call centers are cheap and help a healthy bottom line for one quarter. But what your brand really needs is to have healthy bottom lines in every single quarter to come. This does not come by pinching pennies on things that matter. A real person on the other end of the phone line costs money – 35 cents vs. $7.5 dollars – but the relationship that you’ll build with that personal touch will payback your $7.5 manifold in the years the customer keeps coming back to buy from you. While alienating customers is what no brand ever wants, they try very hard to make customers feel special, well treated etc. However, the best brands in the business don’t just proselytize their concern for the customer, they actually go ahead and make the customer feel like the brand is one of them, part of their lives. Red Bull, the legendary energy drink maker, goes out of its way to make its customers feel like they are on their (customers’) side. They create brand ambassadors by being a buddy to their customers. Every year, Red Bull creates and sponsors wildly successful events in the various sporting fields like dirt bike racing or skateboarding putting its brand in the middle of all the youth. 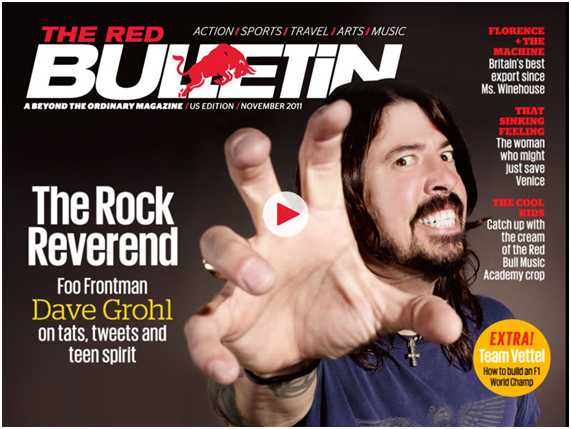 Its own sports and wellness magazine, Red Bulletin, gives users health advice, tips to take up exercise and so on. In the process Red Bull has ensured it has made itself a part of their customers’ daily lives. We spoke earlier about customer service being everyone’s responsibility in a company. For an average employee to go out of their way and help customers, they need to be motivated enough in the first place. If your company fosters a culture of distrust, disrespect and lack of communication, your employees are not happy by any stretch of imagination. Expecting unhappy employees to keep your customers happy is a tall order, if not outright impossible. On the other hand a happy motivated employee who loves his job and the organization, would exude positive vibes to everyone around them, including your customers. Your brand is only as good as your last customer interaction. Truly great brands go out of their way to ensure that every single interaction that a customer has with the brand is great. This means consistent product and service delivery across every single channel you operate on. That’s a tall order, but then who ever claimed that winning a customer’s heart for life was going to be a walk in the park? A recent Harvard Study found that customers don’t really care for engaging with their favorite brands. What they really do care about is the fact that their chosen brands share the same values as them. Hence it follows that an environmentally conscious user would prefer a Timberland while a health conscious user might go for Jamba Juice. These shared values are engendered when brands stand up for what they believe in and share these beliefs with their customers through actions, not just words. 11. Say Sorry When You Screw Up. Really Mean It. Much as we all would like it, no one is perfect including the biggest brands in the world. Mistakes can and do happen, and there’s only so much you can do about avoiding them. However, the hallmark of a truly great brand is when they own up to their errors and put things right immediately. A brand that refuses to own up to the error in their ways risks losing customers’ trust and their wallet share. A good case in point is Lululemon and the 2013 incident with their see-through, easily damaged yoga pants. CEO Chip Wilson brushed off the whole issue by saying that his company’s yoga pants weren’t meant for overweight women. The public outcry that followed became even worse when Wilson’s ‘apology’ was so insincere and superficial, that it became the next PR disaster that the brand had to struggle with. Customers like to be heard. Especially in the current social media age, their voices reach brands directly, instantly. A good brand keeps its listening ears on and bows to the customer’s needs and opinions as it knows that customers make the brand. 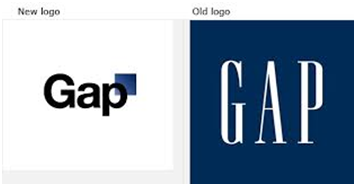 When Gap launched its redesigned logo in 2010, they faced massive criticism of the new logo from all quarters, especially customers via social media. Customer savvy Gap, put its ego aside and heeded the voice of the user to revert back to its old logo within a week of launching the new one. A brand that gives back to customers and to society at large says through its actions that ‘sales are not all we care about’. For any customer, it is crucial to know that he /she is looked upon as a real person who’s contributed to the company’s growth, instead of just another nameless, faceless statistic. Anytime a customer appreciates your brand, reach out to them and thank them. Social media is a wonderful platform for exactly this. Create regular email campaigns that thank repeat customers for their business and encourage them to continue showing their love for your brand with their wallets. Loyalty is the result of a history of positive experiences with a brand. You don’t need gigantic marketing budgets to foster customer loyalty. Just a resolve to treat every customer like they might be your last customer will help ensure that you’ll not see the back of your loyal customers anytime soon.